A couple in southwestern China had a crowdfunding campaign to pay for their four-year-old son’s leukaemia treatment frozen after provoking complaints for appearing to offer his twin sister for sale in the street to boost the funds. 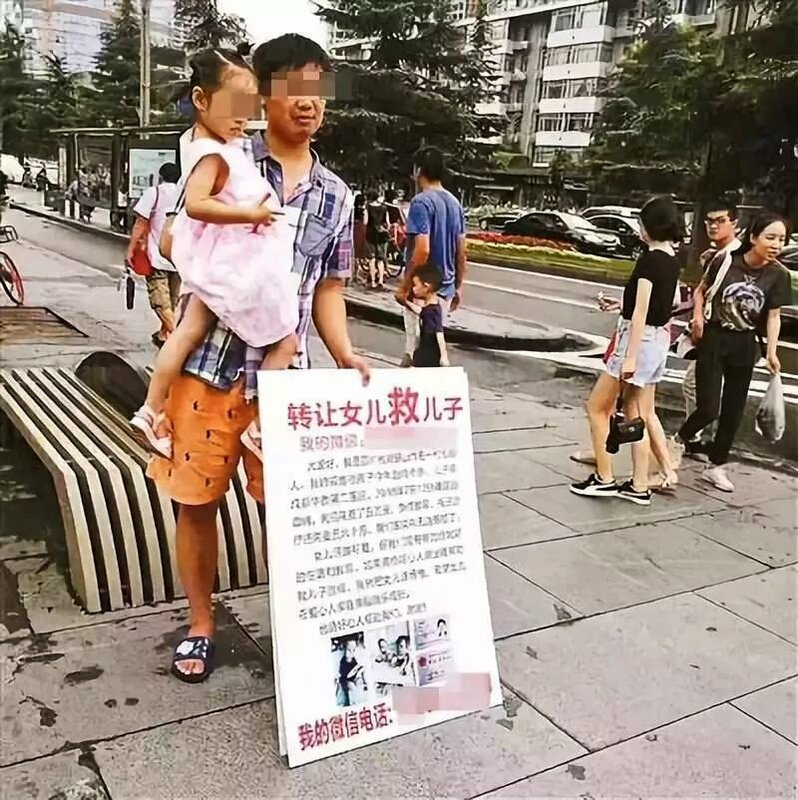 The children’s father and mother, Liang Yujia, 31, and Chen Lanqin, from Emeishan in Sichuan province, claimed that offering their daughter to anyone willing to cover the cost of their son’s treatment had been only a gimmick, after they struggled to raise the 500,000 to 600,000 yuan (US$72,000-87,000) they needed, Beijing-based newspaper Fawan reported last Sunday. But three crowdfunding platforms froze a total of about 90,000 yuan of donations raised by the couple in response to complaints made about them, with one of the sites telling the South China Morning Post it concerned Liang’s apparent attempt to sell his and Chen’s daughter. Their son, nicknamed Cheng Cheng, was diagnosed with an acute form of leukaemia in early July at Sichuan University Huaxi Second Hospital. Liang said offering their daughter had been an attempt to draw attention to their situation, and he had not expected the criticism to spiral out of control, Fawan reported. “I really regret doing so now, but we were running out of options at that time,” it quoted Liang as saying. “We were anxious about not being able to find enough money, so we came up with this idea,” Chen told the newspaper. The couple had set up fundraising campaigns with three crowdfunding sites, Aixinchou, Shudi Chou and Chunyu Chou. Aixinchou told the Post it had frozen donations last Saturday because of “persisting negative effects brought by the complaints”. Mr Ma, the company’s spokesman, said it was its policy to freeze donations after receiving complaints. “For simpler cases of complaints, such as those that refer to the donation projects as scams, we will usually assign our staff members to verify their validity by speaking to the initiators of those projects,” he said. A report into the incident by Aixinchou concluded that the campaign could restart, but with the funds sent directly to the hospital treating Cheng Cheng. “Liang has agreed to us changing the recipient of the donations to the hospital instead,” it read.